Aw, hell. 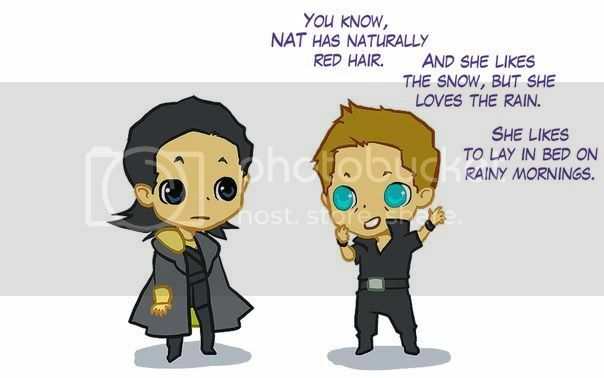 Just a little more Hawkeye. - I see better from a distance. Aw, hell. 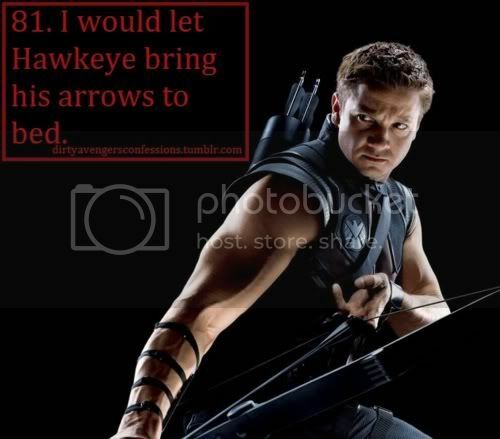 Just a little more Hawkeye. Sorry. These were too good to pass up. Mark Ruffalo and Jeremy Renner playing with themselves. Uh, I mean their Hulk and Hawkeye action figures. Ummmm, is he trying to lay an egg or something? Clint can't keep his mouth shut. I'm going to see Avengers again tomorrow...in 3-D, big screen (but not IMAX). And I'm awaiting the arrival of my Hawkeye action figure. 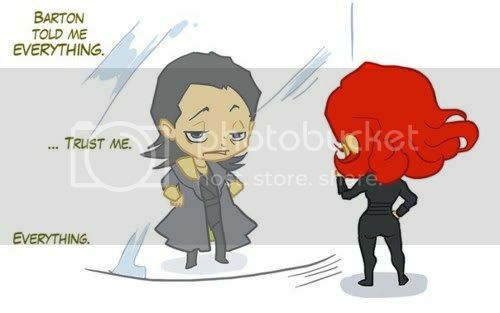 I'll have to get Black Widow to keep him company. Other movie stuff- saw The Best Exotic Marigold Hotel on Sunday. It was great. I'm probably going to see Men in Black III this weekend.